Reddit CEO Yishan Wong resigned from Reddit after a disagreement about a new office, company advisor Sam Altman wrote in a blog post. The disagreement had to do with the location and the amount of money to spend on a lease and Wong decided to leave after Reddit’s board didn’t approve his plan, Altman writes. In October, after the company raised $US50 million in new funding, Reddit employees had to either relocate to the company’s San Francisco office or leave the company, The New York Times reports. Wong recently wrote an extremely frank response to a former employee holding a Reddit AMA about his termination from the company which reportedly made some current employees uncomfortable. Ellen Pao, Reddit’s business exec, will be stepping up as interim CEO and Reddit cofounder Alexis Ohanian will be returning to a full-time executive chairman position. Before Reddit, Pao was a partner at Kleiner Perkins; she sued the company and her colleagues for sexual discrimination in 2012 in a well-publicised case that shone a spotlight on sexism in Silicon Valley. 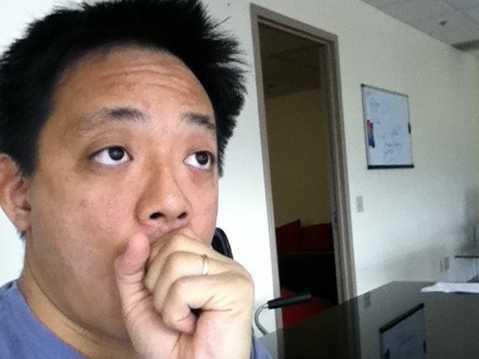 Last week, Yishan Wong resigned from reddit. The reason was a disagreement with the board about a new office (location and amount of money to spend on a lease). To be clear, though, we didn’t ask or suggest that he resign — he decided to when we didn’t approve the new office plan. We wish him the best and we’re thankful for the work he’s done to grow reddit more than 5x. I am delighted to announce the new team we have in place. Ellen Pao will be stepping up to be interim CEO. Because of her combination of vision, execution, and leadership, I expect that she’ll do an incredible job. Alexis Ohanian, who cofounded reddit nine and a half years ago, is returning as full-time executive chairman (he will transition to a part-time partner role at Y Combinator). He will be responsible for marketing, communications, strategy, and community. There is a long history of founders returning to companies and doing great things. Alexis probably knows the reddit community better than anyone else on the planet. He had the original product vision for the company and I’m excited he’ll get to finish the job. Founders are able to set the vision for their companies with an authority no one else can. Dan McComas will become SVP Product. Dan founded redditgifts, where in addition to building a great product he built a great culture, and has already been an integral part of the reddit team — I look forward to seeing him impact the company more broadly. Although my 8 days as the CEO of reddit have been sort of fun, I am happy they are coming to a close and I am sure the new team will do a far better job and take reddit to great heights. It’s interesting to note that during my very brief tenure, reddit added more users than Hacker News has in total.